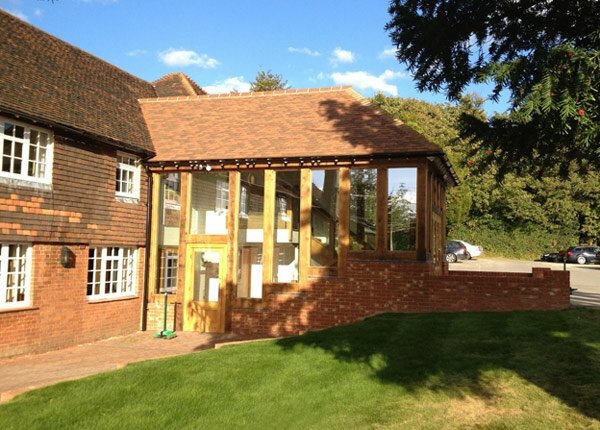 Building Contractor, East Grinstead, Sussex. Excellence in our work. We are a family run building services company with a reputation for excellence in our work and close customer relationships. We have a strong local reach across West Sussex, East Sussex, Surrey and Kent. Our projects have seen our qualified team of builders in East Grinstead, Horsham, Crawley and from Royal Tunbridge Wells to Maidstone. We love helping our customers realise their ideas and dreams for their homes. As a quality building contractor we offer a full range of services for projects ranging from small domestic remedial work to large extensions, conversions and commercial projects. Our architect can draw up draft plans for your requirements for an initial idea of costs before finalising the drawings for planning applications and building regulations. We work with our sister company, Charleswood Developments, on all types of new build projects – domestic, commercial and for Housing Associations – across Kent, Surrey, West Sussex and East Sussex. Look at some examples of our work across Kent, Surrey and Sussex. As professional builders we pride ourselves on the quality of our work and our testimonials speak for themselves. We are a family run building contractor that have excelled due to the quality of our work and the relationships we form with our clients. We are a family run building services company with a reputation for excellence in our work and customer relationships. We have a strong local reach across West Sussex, East Sussex, Surrey and Kent. Our projects have seen our qualified team of builders in East Grinstead, Horsham, Crawley and from Royal Tunbridge Wells to Maidstone. We love helping our customers realise their ideas and dreams for their homes. Our clients appreciate us for our attention to detail of every aspect of their project and the help and advice we give them. We invite you to review our work and services and contact us to discuss your plans; you can always count on a professional and personable service from us. 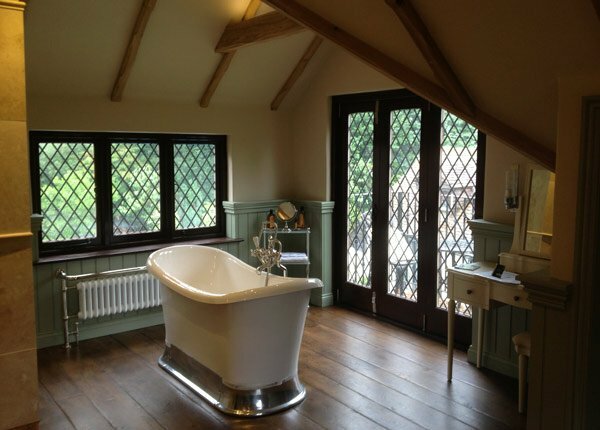 A beautiful new hand made kitchen and en-suite bathroom, designed and built to blend in with the character of the existing property. 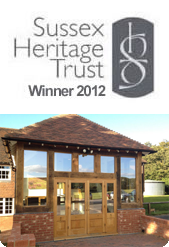 We won the Sussex Heritage Trust Award for our work on this Grade II listed building. The Heritage Trust Awards are designed to recognise the highest quality conservation, restoration and good design. A superb new kitchen and dining area. This extension provides a new light and airy living space combining the best of traditional and contemporary design. 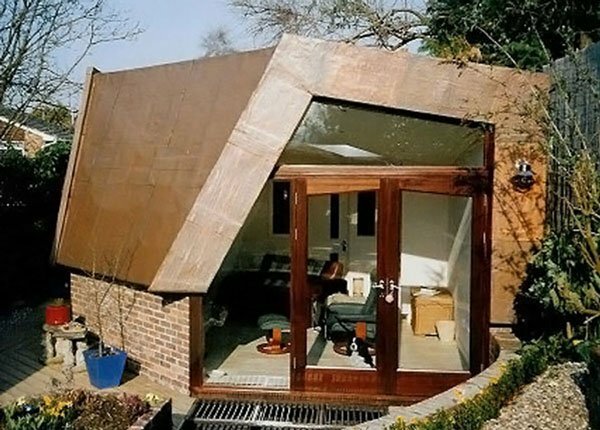 This environmentally low-impact summer house was designed and built using materials and design to produce a low carbon footprint living space. 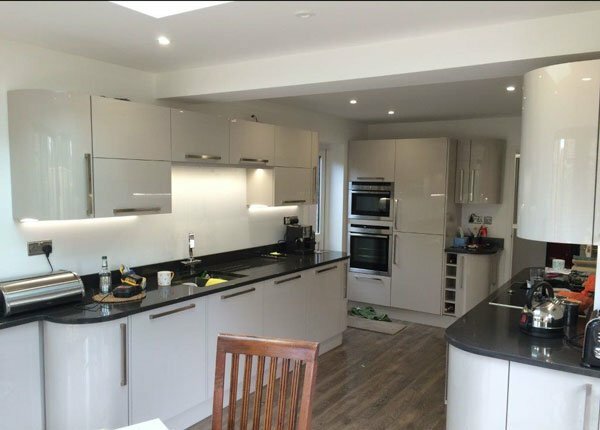 “SCM modified our overly large study to integrate part of the area into our kitchen and make a smaller study; and also fitted a new kitchen. Steve was very professional from the beginning of the work to the end – the work started on the date given and was completed within budget on the schedule given to us. Steve managed the project well with the various trades, and he was a good timekeeper arriving first thing every day and working hard for the full day. He has a good eye for detail – every part of the work was done with care and attention. During the work he gave us some good ideas which we used to improve on our own plans. A crowning touch to the job was his recommendation of a company to fit the Karndean flooring. These fitters did an excellent job too – screeding the whole area to assure a completely level surface – something that other contractors did not plan to do.